The exterior of your house is the protective shell that keeps water, wind and insects out of your home. However, after years of wear and tear, you may need to reseal parts of your home to continue keeping these things out. There are two types of caulking that Sharper Impressions can apply to the outside of your home in order to seal it from weather, air conditioning, heat loss and insects. Several factors determine which type of caulk we will use. 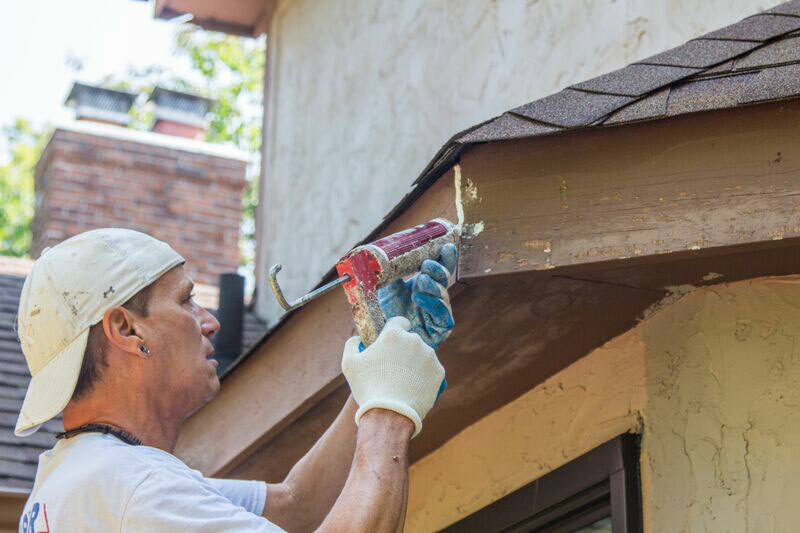 In addition, both types of sealants protect the wood and substrates on the interior and exterior of the home. The first type of caulk is latex caulking. Latex caulking is the most widely used caulking product on the outside of a home. With a good, top-brand caulking material, you will have a 50% elasticity rate. This means when your home gets hot or cold, the material stretches to accommodate the temperature. The other advantage to latex caulk is that once it’s applied to any surface and it has bonded and dried, it can be painted any color. This creates a final look that is smooth with a seamless seal between painted surfaces. For any exterior surface you may want to paint, Sharper Impressions can use latex caulking on your home. The second type of seal that can be used on the exterior of your home is a silicone-based caulk. This type of caulking dries clear and can be used around brick, windows and other surfaces you may not be painting. Silicone-based caulk is firm and seals your home against drafts, insects and weather. However, silicone-based caulk doesn’t stretch as much as latex caulk; it is designed to fill in surfaces that don’t move as much, such as masonry brick, windows and metal. So depending on what type of material you need resealed, our team will select the right type of caulk for your house. Looking for caulking and sealing services to give your house a fresh look? Call Sharper Impressions Painting today to schedule a free estimate, or request a free quote by filling out the form below!